In October 2017, HawkeyePedershaab have joined forces with New Hampton Metal Fab. The two have combined to provide greater solutions to the concrete market. New Hampton Metal Fab designs and manufactures moulds for manholes, boxes, pipes and a variety of other specialty forms and equipment. Towards the end of 2017, HawkeyePedershaab has broadened their company’s product lines and geographic reach by merging together with BFS Betonfertigteilesysteme GmbH. Through this partnership with BFS, HawkeyePedershaab will expand its presence in the concrete pipe and manhole machinery segment and offer new product lines serving the pressure pipe, manhole, pole plant and block & paver end markets. Early 2018 has seen HawkeyePedershaab merge with Cam Sales. Cam Sales are the leading manufacturer of pre-fabricated shear steel stirrup assemblies for concrete pipe, box culverts and other concrete structures. They are also the leading manufacturer of reinforcement accessories and provider of precast concrete production equipment in North America. This acquisition allows HawkeyePedershaab to expand its range of product offerings to the concrete industry. 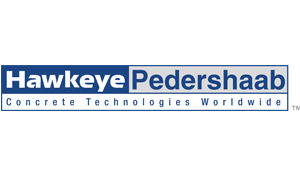 About HawkeyePedershaab Concrete Technologies Inc. & BFS Betonfertigteilesysteme GmbH. They are the leading global manufacturers of capital equipment for the production of concrete pipe and manholes. With operations in Mediapolis, Iowa, Brønderslev, Denmark, and Blaubeuren, Germany, HawkeyePedershaab and BFS offer a full range of customer solutions for manufacturers of concrete pipes, manholes and other precast products, ranging from wet-cast forms and stand-alone production machines to fully automated plants incorporating the latest robotics and control technology. Working closely with concrete product manufacturers to design efficient and modern production facilities, together, these companies have the largest global installed base of equipment in operation. Most recently in October 2018, New Hampton Metal Fabrication Corp, an Afinitas company, are excited to announce the merger with Spillman Company, a leading designer and manufacturer of custom wet-cast concrete forms. The company is also a provider of precast accessories relating to plastic spacers, magnetic products and automation solutions. This combination strengthens and expands New Hampton Metal Fab’s product portfolio for the wet-cast concrete industry.